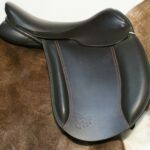 The Native Pony Saddle Company Cobiau Cob Showing Saddle was designed for one of our customers for showing her Welsh Section D. After a trial on the Fen showing saddle Nina felt that she needed more support through the seat and although she liked the straighter flap of the Fen,which showed off the horses shoulder beautifully she preferred the feel of the seat on the Glen Working Hunter, so after a few tweaks the Cobiau ( named by Nina as it is Welsh for Cob) was born. 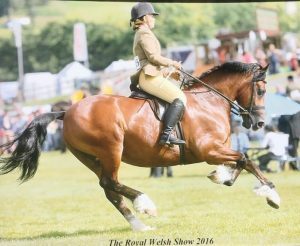 The Native Pony Saddle Company Cobiau Cob Showing Saddle was designed for one of our customers for showing her Welsh Section D. After a trial on the Fen showing saddle Nina felt that she needed more support through the seat and although she liked the straighter flap of the Fen,which showed off the horses shoulder beautifully she preferred the feel of the seat on the Glen Working Hunter, so after a few tweaks the Cobiau ( named by Nina as it is Welsh for Cob) was born. 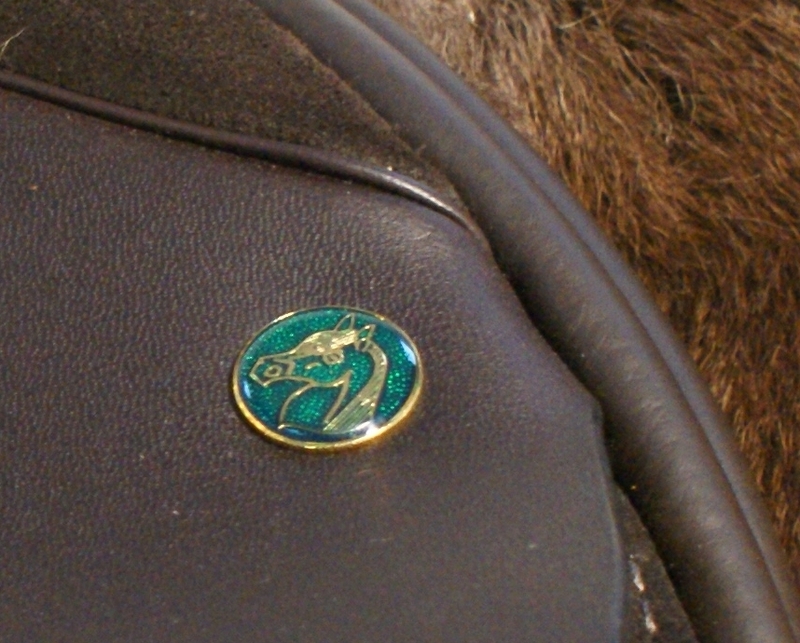 The saddle has a close contact panel allowing the saddle to sit in close against the horse but with enough panel to give a large weight bearing surface with support for the rider and comfort and concussion for the horse,the straighter flap shows off the shoulder of a big moving Cob beautifully. 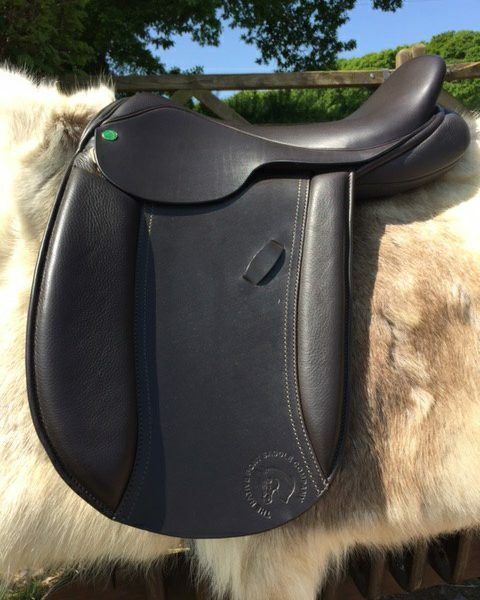 The saddle comes with a large, close contact flocked panel with a large load bearing surface and a wide gullet as standard but is also available in tree and panel options to suit the Throughbred or Sports Horse . 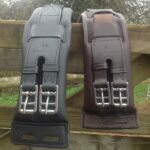 There is also standard four girthing straps which allow for all types of horses and ponies. 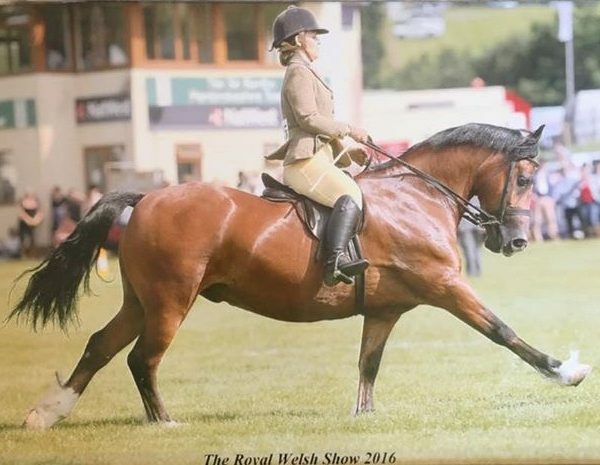 With a traditional square cantle and traditional lines we feel the Cobiau Cob Saddle fills a gap in our range for customers wanting a neat showing saddle on a wide, big moving horse or pony, the shape of the seat also allows for a comfortable leg channel for the rider. 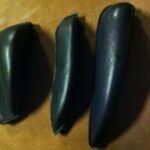 Saddles come in the following seat sizes, 16, 16½”, 17″ and 17½”. 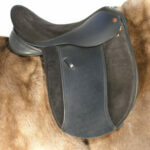 18″ is available as a custom order saddle. 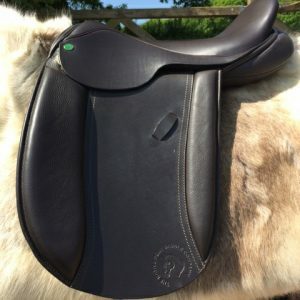 We usually supply Native Pony Saddles in Dark Brown or with the option of ordering a custom made Black saddle, adjustable velcro Knee rolls are also an option. 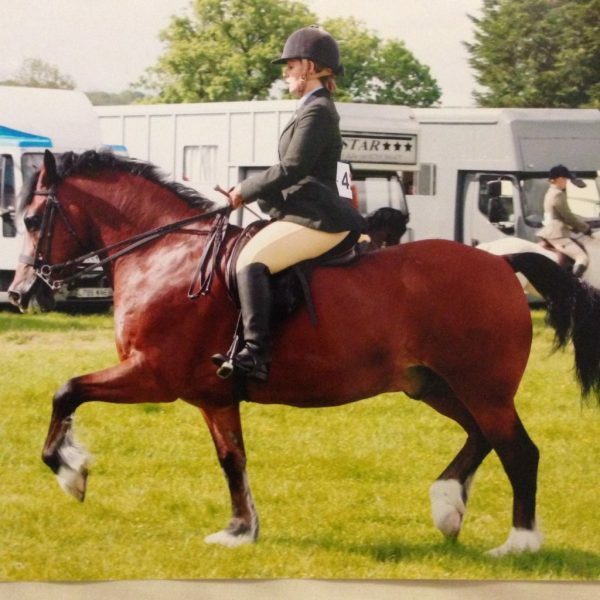 Aesthetic appearance is very important with a show pony as is comfort of the rider, so as with all saddles available from us a custom saddle can be designed for the individual customer/ horse or pony combination if required with a number of options including custom knee blocks, twist and flap length so we really can produce the perfect, comfortable saddle for yourself and to flatter the pony, as Mathew Lawrence says in our video ” Sometimes you have to sit in a class for 3 hours” so you need to be comfortable. 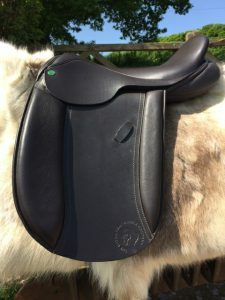 We however recommend that you ride in a standard saddle for the 7 day trial before ordering so we can be sure the correct saddle is made as custom saddles are non returnable.